A 3-tone under-base of Jet Black, kandy Orange and White starts off this custom paint design. Add in the custom blade design that runs around the tank and on the fenders using our signature air-brushed Silver marbling for the inside, and a Silver pin-stripe and drop-shadow. 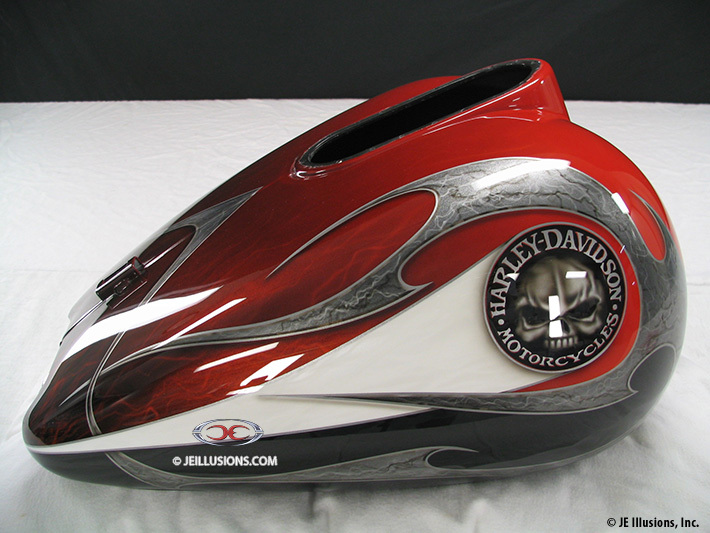 The Harley-Davidson custom air-brushed skull logo is also on both sides of the tank with a flare of high-gloss White coming off the logos. The kandy-Orange fades into the Black using our signature marbling technique on different parts of the body. 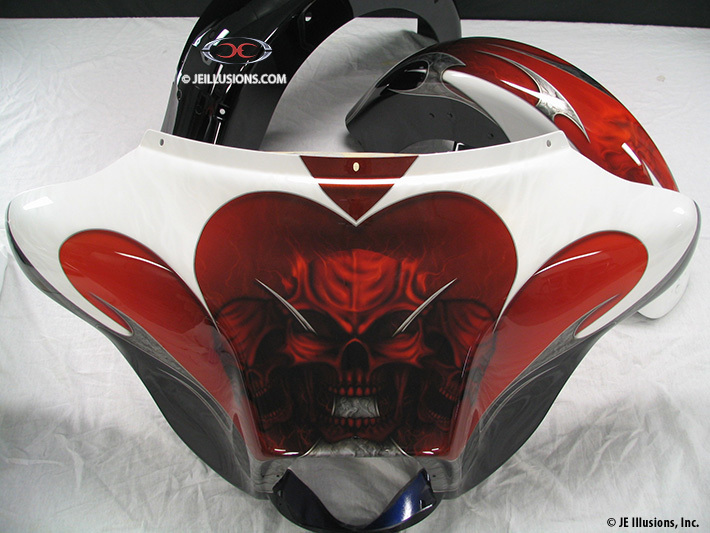 Add in some menacing looking skull heads coming of the back fender and cowl cover and you have one heck of a paint design that is sure to attract attention! A second set done in teals, blues and silver demonstrates how changing up the colors can change the whole feel of the set.